Read what our panel of experts have to say about the Budget 2016 in the chat panel below. Dr Yeah has 30 years’ experience, having had stints as a chief economist, managing director, consultant and analyst in various organisations. He is currently the Dean of Malaysia University of Science & Technology's School of Business. Choong is a tax consultant with SIMways Formulation, specialising in GST implementation. Ross is iMoney's head of marketing who specialises in making complex financial terms and concepts understandable for Malaysians. 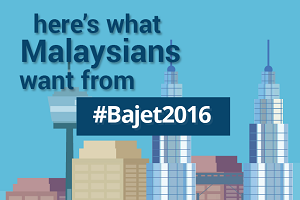 Malaysians reveal issues that Budget 2016 should address! 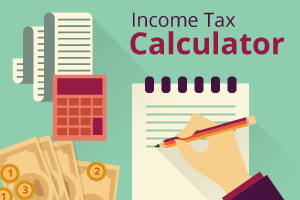 Calculate how much income tax you will be paying in 2015 and compare it with last year's tax! 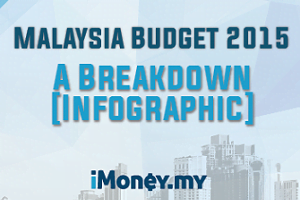 Here's a refresher infographic on what was announced in Budget 2015 last year. 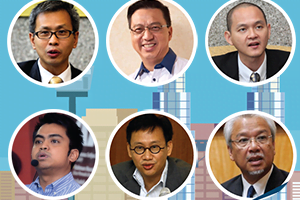 What Do Our Politicians Expect From Budget 2016? See if any of these politicians' predictions come true!